No More Silence – A Splash of Love…. Our goal is not to bring destruction, but healing, hope and accountability. This accountability includes accountability to the laws of the land, and also includes a willingness (even preference for) working with Restorative Justice initiatives where victims voices are heard and included, and where offenders are offered support to help them overcome their addictions and remain accountable to a team of people upon release from prison. We are not targeting ‘our people’ to destroy anyone (not even the culture), to shame anyone (not even the leaders or the culture), but to give victims who are terrified to speak out a safe place to be heard. The power under which many victims function is suffocating. And in a purity culture of silence, the shame and consequences for speaking out make it all but impossible for victims to break free and find a voice. Advised to take medications (by leaders, family and friends) while held in that silence, is deadly. The spirit dies. The soul dies. The mind goes insane. Or numb. Everything goes numb. Medications have a place, but they are not the answer, and the number of victims barely surviving, popping pills but speaking to no one, is tragic. It is also unnecessary to suffer in silence. If you are a victim, I encourage you to find the courage to speak out. We will support you as much as possible in helping you find the supports you need. Those who want people ‘on the inside’ (leaders and lay people in the conservative Anabaptist church) we can connect you to these leaders. We trust them, and we are confident you can too. Those who wish for support only outside of the culture, we will honour that. 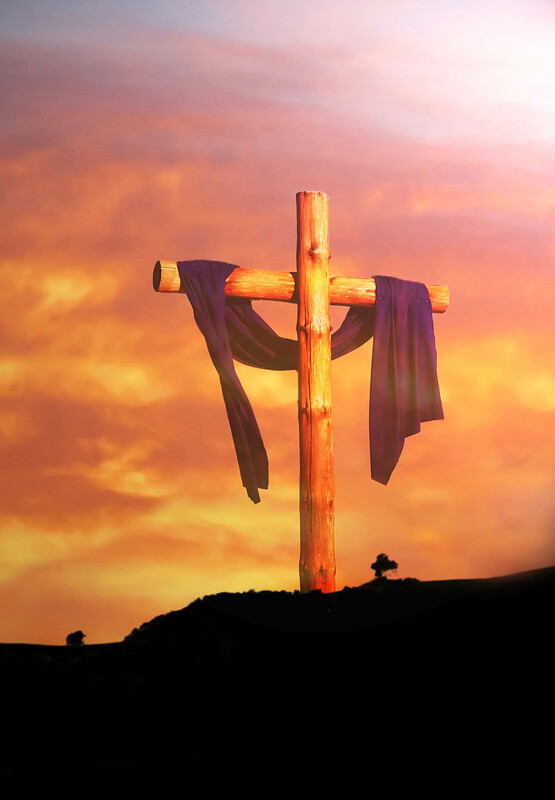 God is moving on the inside… He has heard the prayers and cries of many, many wounded and their families, and is keeping His promise in Habakkuk, that he will do a thing that we would not have believed if someone had told us. Early in ministry, a conservative Mennonite woman sent me those verses and said God showed her that in relation to our ministry to victims. I still have her note. And I still believe that God is doing just that. Victims of sexual abuse often struggle with a sense of obligation to silence. There are many reasons for this, ranging from an imposed silence, to personal guilt, to religious duty. Many victims spend more time worrying that they will ‘destroy their abuser’ than most abusers seem to worry about the damage done by their horrendous acts. I hear comments like, “I can’t tell what my (uncle/brother/sister/cousin…) did to me. It would be too hard for everyone… And I would feel so bad for destroying my family.” Or, “My family would disown me if…” or some other fear of rejection. But one of the most common reasons for silence is a sense of religious obligation, as though the victim is being ungodly, unkind, or destructive by exposing the offender, or sharing their story or testimony. The latter is often justified by twisting the word of God into some distorted misrepresentation of truth that messes with the mind. 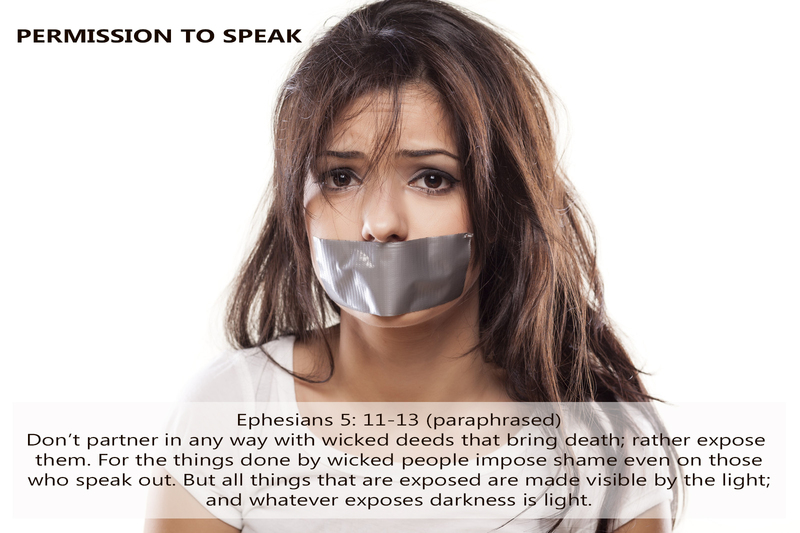 Frequently Ephesians 5:12 is used to impose such silence, declaring that ‘The Word of God even says it is shameful to speak about those things” while completely disregarding the real message, that speaking out breaks the darkness and brings light. God gives us permission to speak. He does not impose a code of silence on people and doesn’t expect only the good stories to be told. The Bible is our guide and example, and it is full of murder and mayhem, sexual abuse and violence… and the consequences for such things. 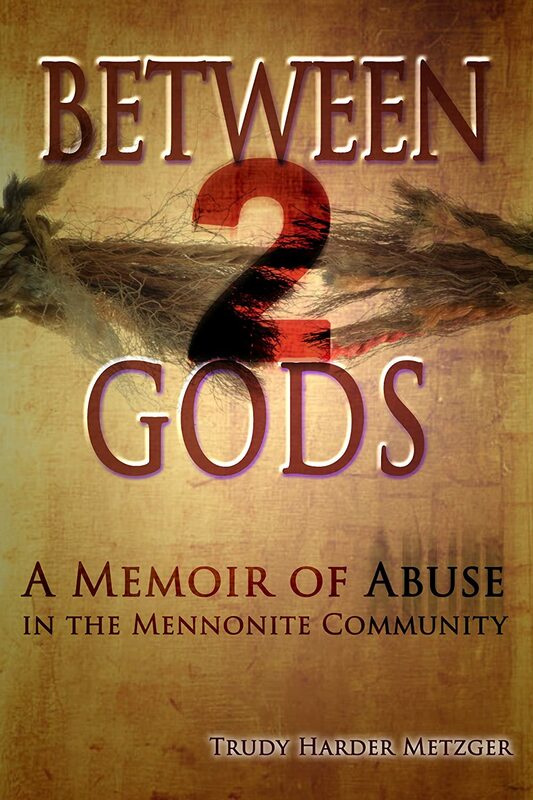 If you are a victim of abuse who has been muzzled, you are free to speak, with God’s blessing. You owe nothing to silence, and certainly don’t owe silence to the abuser. Truth can be spoken without evil intent, and if the offender is truly repentant, his or her reputation will not be their first priority. Speaking out and breaking the power of silence plays a role in freedom and breaking both personal and generational strongholds. Choose freedom. Choose light. Choose to expose.